Three women come into close association onboard The Orient Express bound for Baghdad in 1928. One woman is the legendary writer of crime fiction, Agatha Christie. Still reeling from her husband's infidelity and their subsequent divorce, as well as her much heralded 10-day disappearance, Agatha doesn't feel she can be in England when her ex-husband marries his mistress. The divorce process in England was torturous at the time and Agatha is exhausted. The press has not been kind to her and she is travelling under her maiden name, Miller. Her cabin mate is Katherine Keeley, travelling to Baghdad to marry Leonard Wooley, the renowned archaeologist. Her secret concerns the tragic death by suicide of her first husband just six months into their marriage. The third woman is Nancy Nelson, on the run from her abusive, titled husband. Nancy is carrying another man's child and is terrified. In the course of the journey the women grow close, but it is in Bagdad that all secrets are revealed. The descriptions of the journey and Middle Eastern locales are breathtaking. One can almost smell the air and hear the sounds of Istanbul, Damascus and Baghdad in the late 1920's. The three women band together to protect each other, especially the vulnerable Nancy. In the beginning, Katherine appears to be an unsympathetic character, both controlling and manipulative of everyone around, especially the men. Those men include Agatha's future husband, Max Mallowan. Much has been written about Agatha Christie and her disappearance. There is nothing new here on the disappearance but as Christie never addressed it in later life, not even in her autobiography, I don't think we will ever know the why or how. Katherine Keeley Woolley, who became an experienced excavator in her own right, has been overshadowed by her famous husband and persistent rumours about her sexuality. 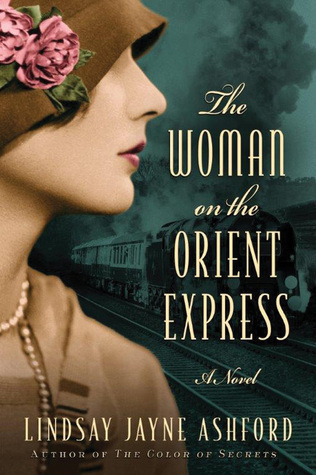 Those rumours and the possible truth behind them are very sensitively handled in The Woman on the Orient Express. It seems to me that the historical fiction can be measured by the interest it sparks in real historical events and people. I have read everything I can find on Katharine Keeley Woolley (admittedly not much) and am fascinated by her. She deserves a book all her own. Of course, Agatha Christie's books are a large part of my life-long love of reading. I thoroughly enjoyed The Woman on the Orient Express. Thanks to Lake Union and NetGalley.com for an advance digital copy in return for an honest review.